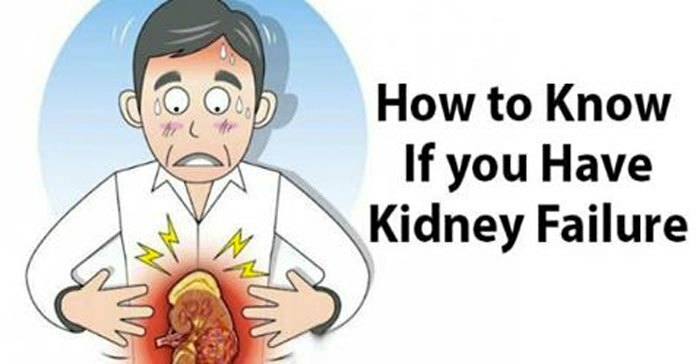 Acute kidney failure affects numerous people and is a serious health issue that occurs due to the poor blood filtering that reduces the function of the kidneys, and the waste starts accumulating in the body, causing fatal consequences. The kidneys work constantly, they have 2 million nephrons which filter 4 liters a blood every 5 minutes, all the time. Therefore, they are crucial for the entire body, and any damage should be repaired as soon as possible, in order to prevent additional consequences. The most common risk factors include diabetes, age, chronic infection, hepatic and renal base problems, hypertension, immune system disorders, bladder obstructions or hypertrophy. This is the first sign of the disease, which is caused by the accumulation of waste in the body, that leads to swellings and water retention. If your legs and feet are swollen, that is a clear symptom of acute renal failure. Acute renal failure causes pain felt in the lower back region of the body. The reduced function of the kidneys reduces the adequate release of EPO or Erythropoietin, a hormone that controls the production of red blood cells. The lower levels of this hormone will reduce energy levels and lead to tiredness. The waste deposits in the body lead to skin issues, so you might feel itching, notice rashes, and the skin becomes dry and irritated. The reduced red blood cells count in the body cause difficulties concentrating, and the kidney failure will reduce the blood supply to the brain, causing dizziness, nausea, lightheadedness, and memory issues. If your sense of taste is changed, and you feel a metallic sense in the mouth, it is due to the waste accumulated in the body. The kidneys secrete a hormone that regulates the red blood cells production, so their poor function will reduce the count of red blood cells, and the cells and tissues will not receive the adequate oxygen supply. This will, in turn, lead to shortness of breath. The main concerns regarding the acute renal failure are the facts that its signs are often ignored, and its symptoms can often get mixed up with the ones of other conditions and health issues. Therefore, it is a must check it and confirm for sure by doing blood and urine tests as soon as you start experiencing the symptoms. To determine the cause of the renal failure, your doctors can do an abdominal ultrasound and renal biopsy. The faster it is diagnosed, the less time it will need to be cured. If left untreated, it can cause permanent loss of renal function, so the individual will have to go to life-long dialysis or even need a kidney transplant. The kidneys are extremely important for the functioning of the entire body, so you need to take special care of them, and immediately ask help if you experience any of the above mentioned symptoms, as the early detection will help you restore their normal function soon.